CROSS MARINE PROJECTS is proud to be Utah’s number one dredging company! With more than 30 years’ experience in the dredging industry, our project planners will match the right dredging systems to your project needs, while minimizing dredging costs. Cross Marine Projects can make the dredging process simple and efficient by providing pre-dredging planning, dredge equipment mobilization, and dredging services. Our floating dredge barge systems allow use to operate in remote marine locations. Our portable dredges are a perfect solution for dredging in environmentally sensitive locations where minimal environmental impact is desired. The small dredges are capable of moving large amounts of sediment with minimal impact. For larger projects such as harbor reconstructions and navigational channel improvements, our high volume hydraulic dredging equipment will provide faster and more economical results. We utilize the latest hydraulic, sand, suction, auger and cutterhead dredge machinery from leading dredge manufacturers. Our dredging vessels include customizable floating dredge deck platforms that can support a clamshell dredge, bucket dredge, dragline dredge, or grapple system for rock and rip rap revetment relocation. Why experience the costly hassles of getting a dredge rental or using unqualified dredging companies when you can hire an experienced dredging contractor that will save you time and money. 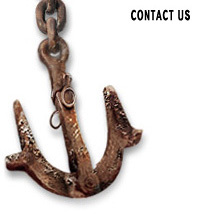 Cross Marine Projects is the number one dredging company in Utah and an internationally recognized leader in the Marine Industry.